Gustocamp... the taste of luxury camping! 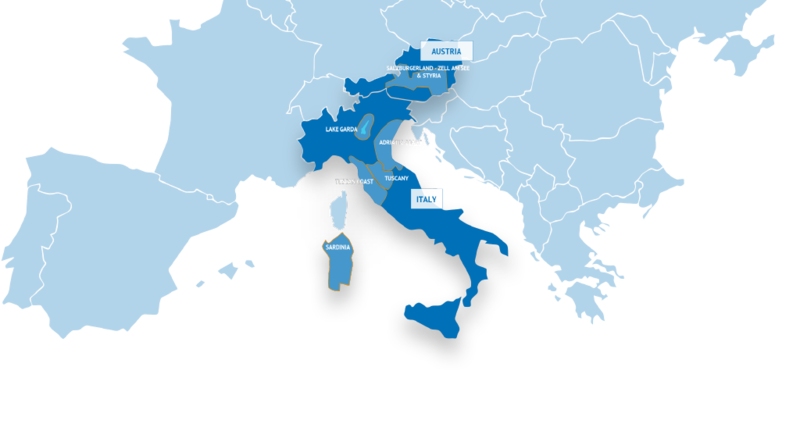 Gustocamp offers quality family camping holidays throughout Italy and Austria in mobile homes and fully equipped tents on top quality campsites in both Italy and Austria, at very competitive prices. With more than 10 years of experience in the organisation of luxury camping holidays, our knowledge guides us to ensure that you will have everything you need to make your holiday a truly unforgettable experience. Gusto means good taste... and that’s what we offer! Gustocamp has a selection of campsites in different areas. Something for everyone.... Do you prefer to go on an exhilarating mountain bike tour with your family? Or maybe simply relax on the beach? Or how about discovering more of the beauty, nature and culture of the area you have chosen? The campsites chosen by Gustocamp have all been selected for their ideal position, and for all the services they have to offer, plus the selection of activities for all the family; such as the kids club for the smaller children and the evening entertainment for all the family. Parents may simply relax, whilst your children meet new friends and enjoy the daily fun and activities of the animation program. 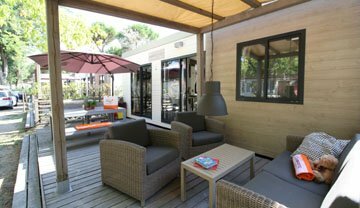 Gustocamp accommodation on each and every campsite is always of the highest quality and standard. Well equipped with a full inventory for all you need to enjoy a comfortable stay. From the clothes horse to a cork opener! No pumping up the mattress or sleeping on the ground, as you will find comfortable solid beds and quality mattresses to sleep on. We even provide blankets and pillows. You must however, bring your own bed linen, or alternatively you can hire them on booking. Childrens packs are also available for hire, including baby bed, high chair and bath. We are certain we have thought everything...in fact, you can nearly not call it camping anymore! 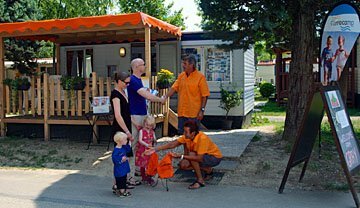 As you arrive on every Gustocamp campsite you will find our staff waiting to welcome you. Our representative will be there to greet you with a cool drink before accompanying you to your accommodation. During your stay our personnel will be at your disposal for any information or help that you may require, assisting you to enjoy your holiday to the full, with the minimum of thoughts or worries. As a small agency we wish to guarantee you our every personal attention for a perfect holiday.